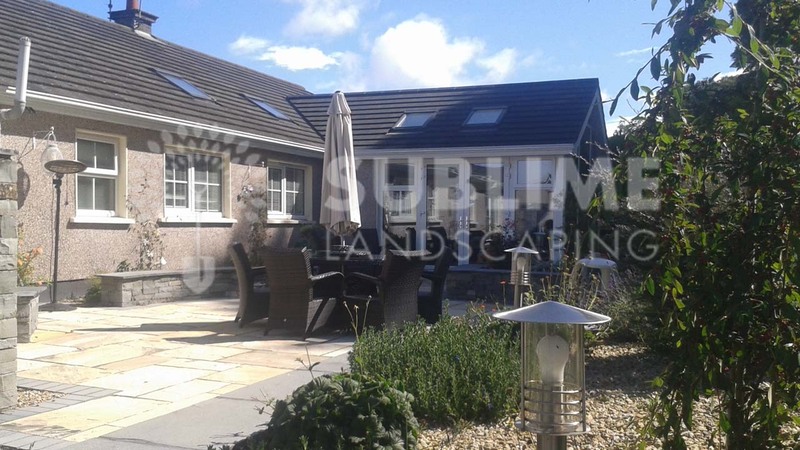 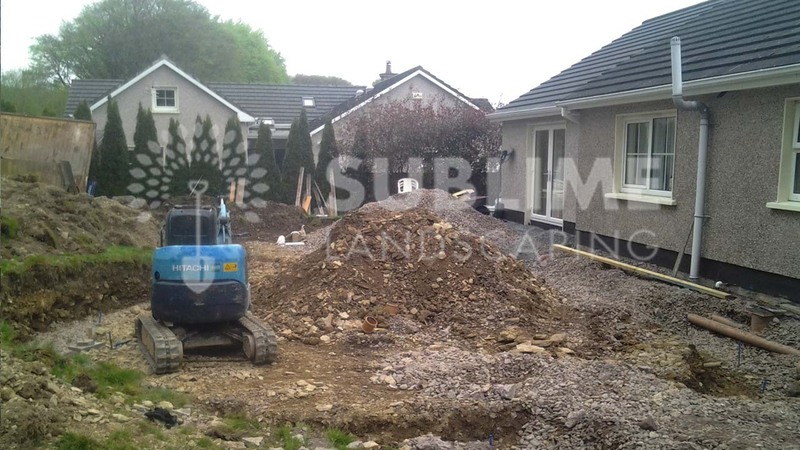 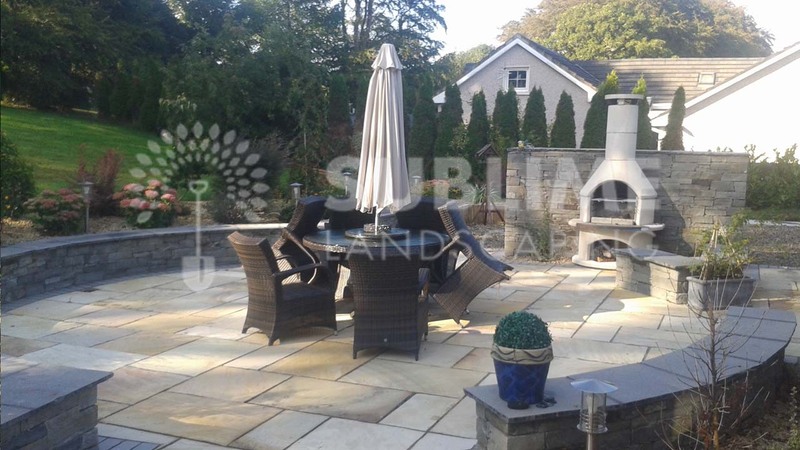 This client had asked to create an area at the back of the house for their large family to enjoy during the summer months when the weather in Cork is good . 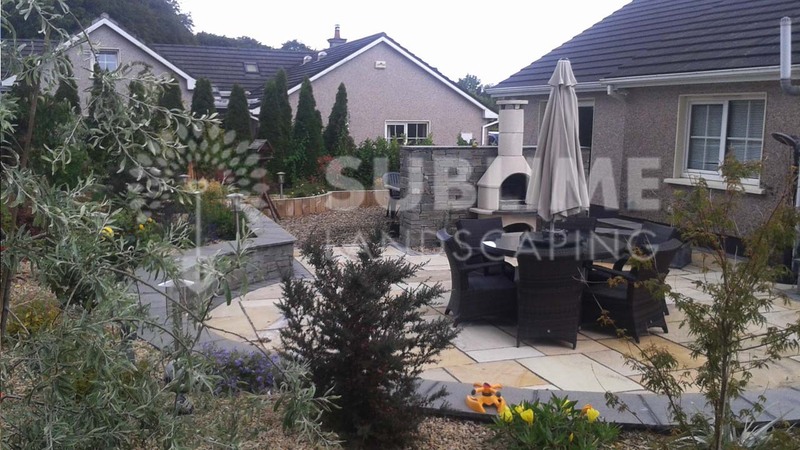 The client enjoyed outdoor BBQ'S and asked if we could make that a feature within the garden. 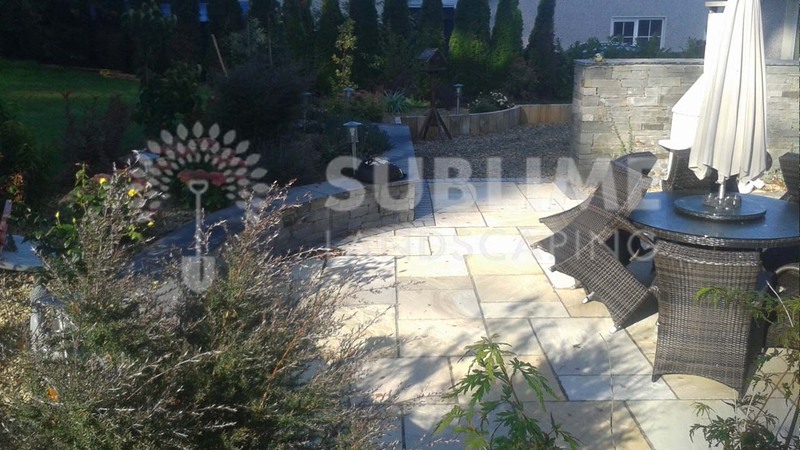 Sublime Landscaping constructed a circular style Indian sandstone patio area where plenty of people can sit comfortably on adjacent walls and enjoy the evenings. 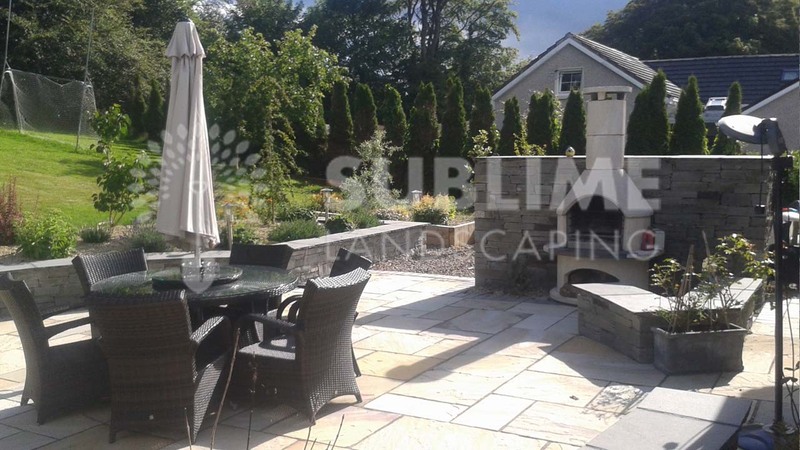 Dry stack liscannor walls were constructed to compliment the patio area with a feature wall built behind the BBQ Area. 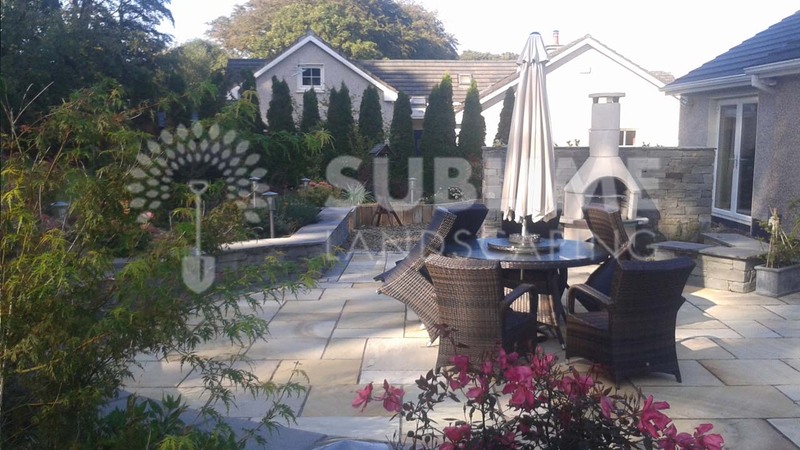 We had met some other landscaping companies, but once we meet Sublime Landscaping and their ideas so unique to the others, we decided then that we were going with these guys. 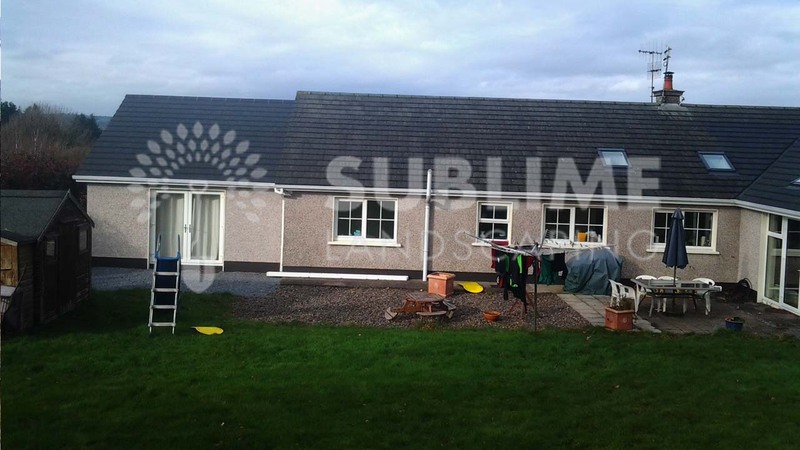 To this day we are still delighted that we made the right choice by going with Sublime. 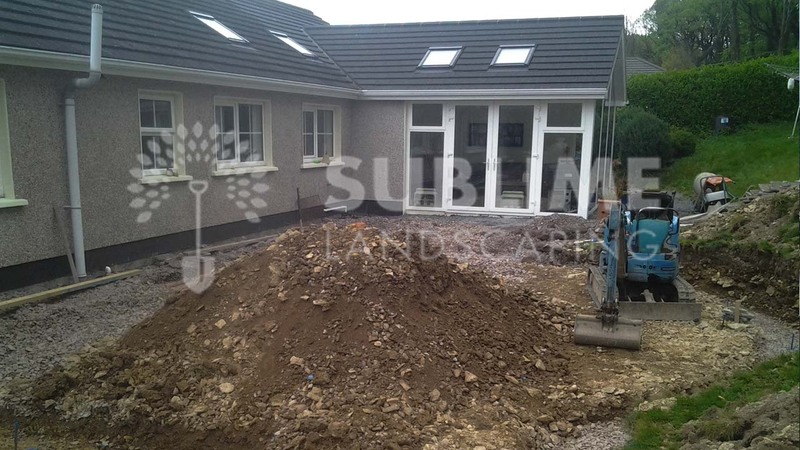 We were so delighted with the back, that we asked Sublime to come back two years later and completely landscape the front of our house also.